Finally got onto the last bit of Scotland I haven't been to yesterday, the Ardnamurchan peninsula. I was working, so only grabbed a couple of pics from the south side of Loch Sunart whille I was waiting for a 4x4 and boat to take me to the site. p.s. the Ferry at Corran is £3 for bikes. Still a problem with linking offsite images here...don't know why. If you click on the links, the images are cached on your local device, so the embedded images may appear in the post on a refresh...but not always. Recommendation is to post the direct link (as above), until it's figured out what the problem is. [You must be registered and logged in to see this link.] wrote: Still a problem with linking offsite images here...don't know why. Alternately, you can get a [You must be registered and logged in to see this link.] account (it's free), and you can then link your pictures in the usual way (with the insert an image button - to the right of the one circled & highlighted in fig1. above), without any issues at all. I - as always - stand to be corrected with an alternate or simpler solution, or even our hosts ([You must be registered and logged in to see this link. ]), fix on the issue. Doh! I totally forgot about the Host Image function. That should be it sorted now. Lovely pics Wooster. We have done some of the roads from Kilchoan after getting the ferry from Mull. It was a cracking road, quiet and twisty. Damn....that must have been good. The west coast can be glorious or miserable in equal measures. It was an awesome day. Wall to wall sunshine, even coming back south through Glen Coe which often has cloud on the peaks even on decent days. 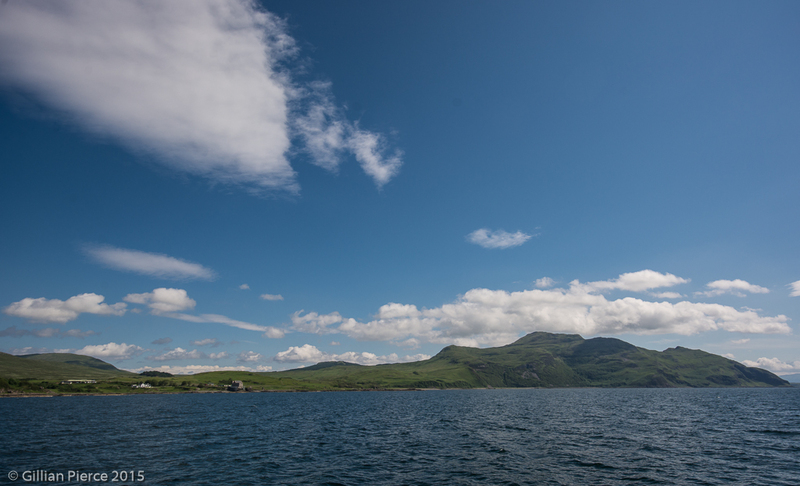 Here's one of Ardnamurchan from the ferry. When it's nice, it's really nice. If the same two images show in your post, that was me. It's a new Spot the Difference thing I'm trying. Yeah - it works fine in Edge (without the need to embed) but not in Chrome or Firefox. I guess the forum software hasn't been updated to reflect the recent security changes in Chrome/Firefox which is what's causing the problems viewing the images. It's a funny one, innit? [You must be registered and logged in to see this link.] wrote: Yeah - it works fine in Edge (without the need to embed) but not in Chrome or Firefox. I guess the forum software hasn't been updated to reflect the recent security changes in Chrome/Firefox which is what's causing the problems viewing the images. [You must be registered and logged in to see this link.] wrote: It's a funny one, innit? Uploading an image definitely seems to work though. If you can see the image in Fatcat's post above, that was me downloading the image he linked to and then uploading it again. The original link is still there (above the uploaded one), which is why some people may see the image twice.